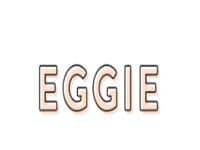 Eggie.us is an online fashion store. It primarily sells tops, skirts, bottoms, dresses, jumpsuits, knitwear, sweaters and outerwear. Most clothes are available in five sizes: extra small, small, medium, large and extra large. The website is dedicated to clothes that suit different personalities. It advocates finding the right style that flatters a unique personality while being inclusive. Eggie.us offers a $10 discount upon signing up for their newsletter. There is a rewards program in place that offers points for creating an account, per dollar spent, for following the brand on different social media platforms and also for sharing their stories. Five hundred reward points is worth $50.